If you prefer to go sleeveless, this is our best option! Simply designed, this triathlon skinsuit is made of two fabrics with coldblack® technology to reduce heat build-up from the sun. The top is made of a dimple meshed construction for optimal aerodynamics and breathability. 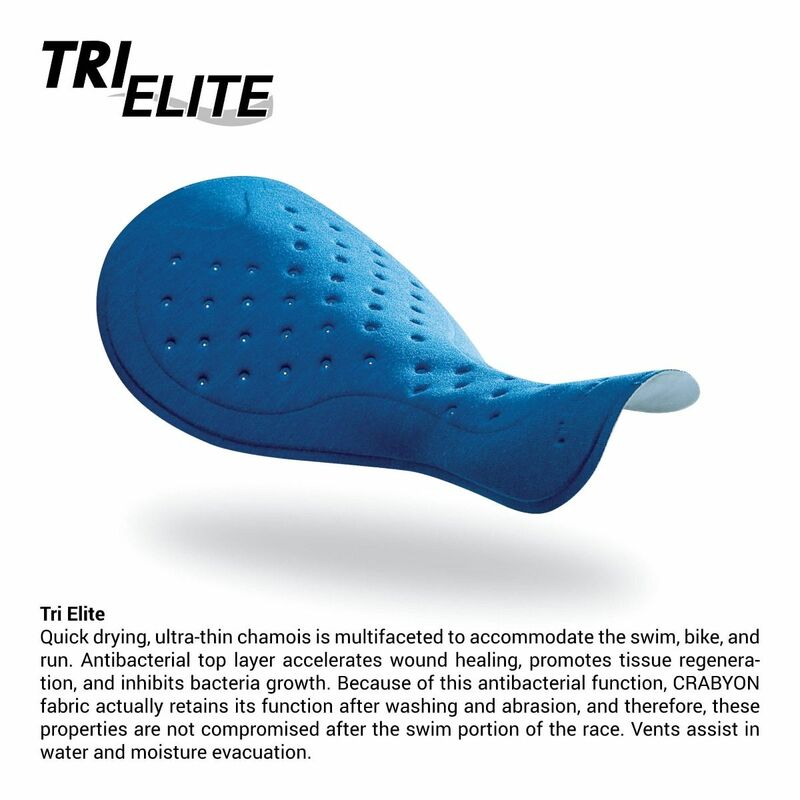 The bottom has the same one-piece technology as our Tri Course shorts. One back pocket with a laser cut flap prevents water drag during the swim and allows you to carry some fuel for your bike and run.